A computer expert who volunteers at the National Museum of Computer at Bletchley Park has been awarded an Emmy for his contribution to the film and television industry. Delwyn Holroyd co-founded the company Codex, which creates the recording technology used in video cameras. He started from humble beginnings, but his technology has now been used on films like Mary Poppins and the television series Game of Thrones. "There are many films, most would have seen at the cinema, where some element of our technology will have been involved, Mary Poppins, Bohemian Rhapsody, both of those used our recording technology. "We've come an awfully long way since the early days when we started out, when it was just me in my bedroom." In his spare time Delwyn volunteers at the National Museum of Computing at Bletchley Park near Milton Keynes. The museum charts that history of computer - from the world's first, to those used in wartime to decipher enemy codes, and up to the present day. Delwyn says winning an Emmy is a great honour, but his voluntary work still allows him to get back to the roots of the industry. The museum now needs more volunteers like Delwyn to help with its day to day running. 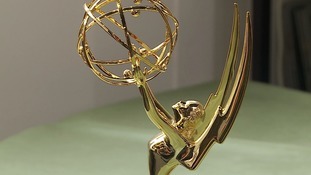 Although being an Emmy winner they say, isn't compulsory!